I've always been a fan of Circa 55. Their food is always on point and their presence at The Taste was no exception. Loteria Grill never disappoints. Every year at The Taste, they do multiple dishes at each event. This year they did a Beef Cheek Tacos with Salsa Haberño that was delicious! Salmon Sashimi with grape, daikon, and nuoc cham sauce on a nori chip by Oh Man Ramen. Hanjip's braised pork belly ssam with brown butter kimchi, Korean miso, and rice paper was full of flavor! I could have eaten these the whole night! This ssam was one of my favorites of the entire 3 day event! Jinya Ramen Bar's Spicy Tonkotsu Ramen was my favorite ramen of the night. There were a few places doing ramen with the Japanese Tourism Department in full swing, but Jinya took top prize from me. Noodles were perfectly al dente and the broth was rich and pipping hot! What do you do when you run into friends at The Taste? They let you try a $600 bottle of sake! Wow! I'm not a sake drinker or an alcohol drinker in general, but wow... this sake had such a light, citrusy taste. It was so refreshing! I guess I never really drink sake, but if I do only a $600 bottle will do from now on. Call me spoiled! One of my favorite panels I visited was Chef Rika's. Can you believe she flew in from Japan just for The Taste? For those who dont know her, she is a popular chef on NHK. She specializes in teaching her viewers easy, Japanese recipes. For her demo at The Taste, Chef Rika taught the crowd about Kushiage Deep-Fried Skewers. I even chatted with her for a bit after. My absolute favorite thing I ate at The Taste was Chichen Itza's salbutes made with beef short rib and pork shoulder in a puffy corn tortilla with avocado and pickled onion. Oh my goodness! I ate two of these after already being stuffed beyond belief. Left: At this point, it's just not fair. Badmaash always has the longest lines and best food at The Taste! This year they brought it with an Indian pork curry with avocado yogurt topped with a strong and fragrant garlic flower! Middle: Delicious chili grilled pork ribs made with fish sauce and caramel from Simbal. It tasted like Vietnamese baby back ribs. Right: It wasn't just Japan that was out in full force this year at The Taste. Taiwan Tourism was out and about too with a few tents. 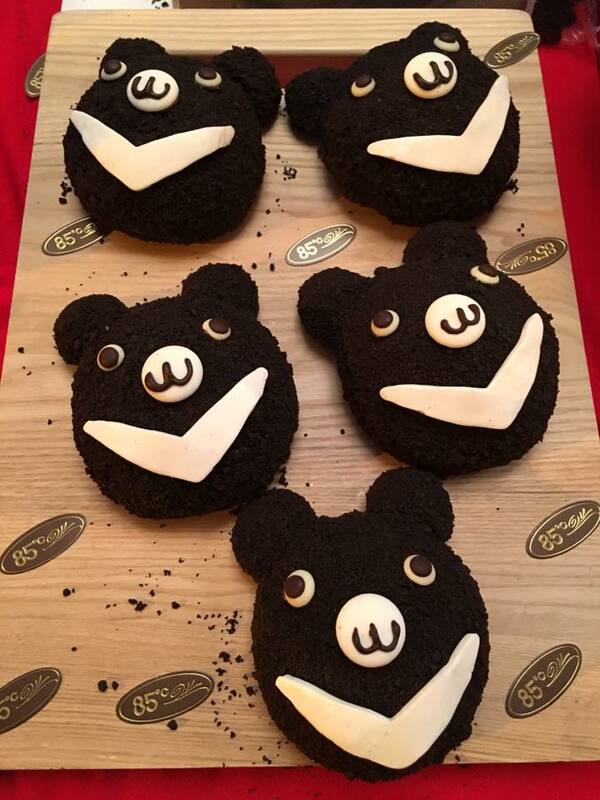 85C Bakery debuted their kawaii chocolate bear cake. It was so hard to resist something so cute. The bear bread also came out pipping hot fresh out of the oven! As usual, The Taste was so much fun. It continues to be my favorite food event each year. To see my part 1 recap click here. Did you go to The Taste? What were your favorite dishes and panels? Do my recaps make you want to go next year? To see their official event page click here. Happy Eatings! See you next Labor Day weekend! Let's make plans to meet next year right now!